Halloween is a lot of fun. But this year instead of sharing the usual crafts and activities lets branch out a bit. This year how about some fun and outrageous science experiments? Halloween revolves around candy, and spooky creatures. Why not harness that in to some fabulous experiments? 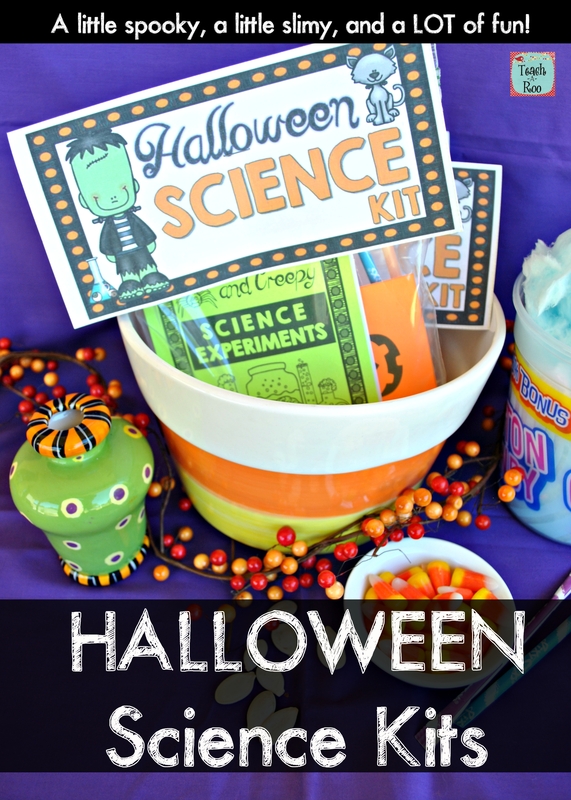 These incredibly cool creature kits are filled with Halloween themed science experiments. These are perfect for sharing at a party, at school, or at an after-school extra-curricular activity. The kit is an ingenious idea from Teach-a-Roo. Teach-a-Roo is a special blog and resource store created and used by teachers and parents. The kit includes science experiment ideas with cards detailing how to complete the experiment. Each card includes a list of materials needed, possible outcomes, and topics to discuss. Your kids will learn and have fun while they complete these STEM inspired Halloween themed experiments. Head on over to Teach-a-Roo to learn more about Halloween activities and order some of these incredibly cool experiments now. We are sure that you will find plenty activities to entertain your little ones. This entry was posted in Activities, Learning and tagged candy science, Experiments, fun, halloween activity, halloween science, learning, science, science experiments, stem, teach a roo, the boys store on October 10, 2016 by Lacy.